Purchase to earn 900 Points! These mega shiva lingam specimens absolutely live up to their name. They are some of the largest I’ve ever encountered, and their energy is SO POTENT. Measuring a whopping (approx.) 24″ in length, and weighing in the very heavy neighborhood of 185 lbs., (luckily shipping is included in the price!) their powerful gravity gives me a deep sense of wholeness and connection to the love within myself. 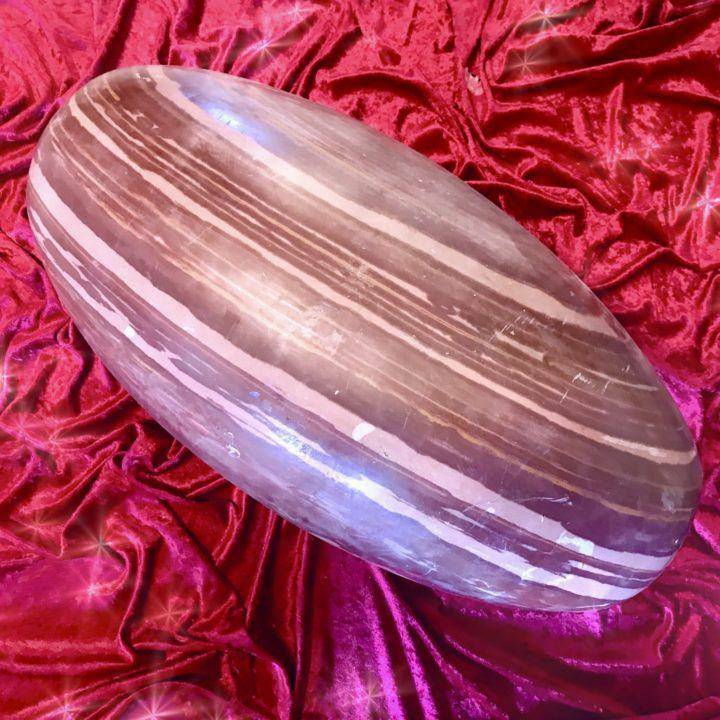 Shiva lingam is one of the most powerful gems on the planet for activating sexual energy and attracting a soulmate presence. It holds the energies of duality and Universal Consciousness; this stone is both masculine and feminine. 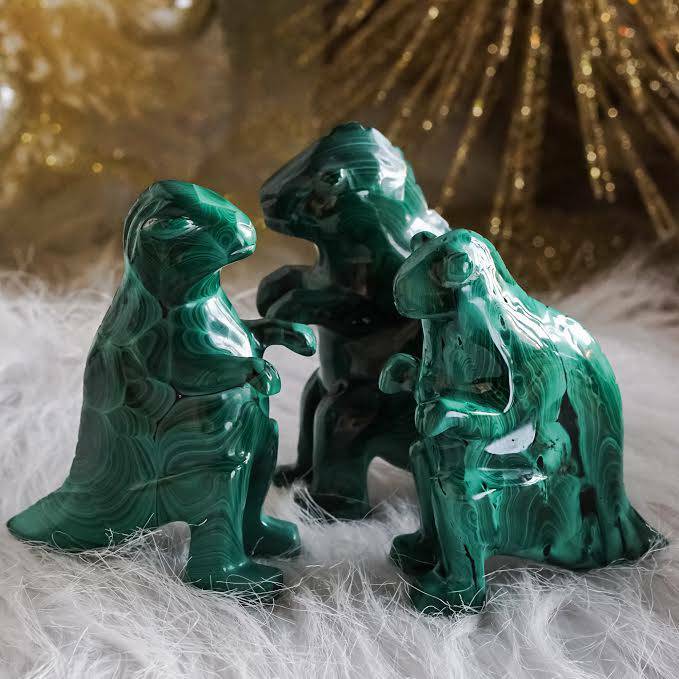 These very unique and special specimens also directly relate to the Heart Chakra and represent the harmony and balance of the soul that is maintained within the hearts of all of us. Pieces of this size are a powerful tool for supporting fertility. If you or someone you love is trying to get pregnant, this stone is for you. For hundreds of years, shiva lingam has been an integral part of worship in India. In fact, shiva lingam comes from only one place – the Narmada River in Western India – one of India’s most holy sites. The villagers gather the stones from the river and hand polish them so that they are a smooth shape. Their colors vary, but they are all a tan color with various brown, red or grey stripes, spots or patches on the stones. To appreciate the power of this specimen, you have to understand the symbolism of these sacred gems. Lingam is the sacred Sanskrit word for phallus. In Tantra, the shape embodies the Shiva, the masculine energy – dynamic expression and knowledge, as well as the cosmic egg, embodying the feminine energy – wisdom, and intuition. Together they are one. 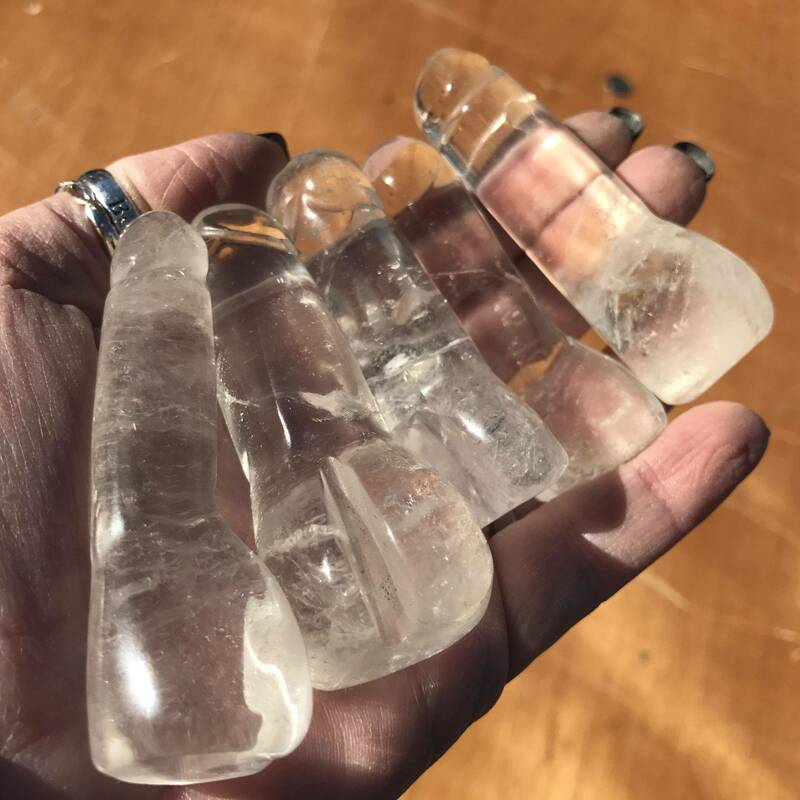 These special stones are often used for spiritual healing, allowing us to stimulate higher knowledge within ourselves, improving overall well-being. 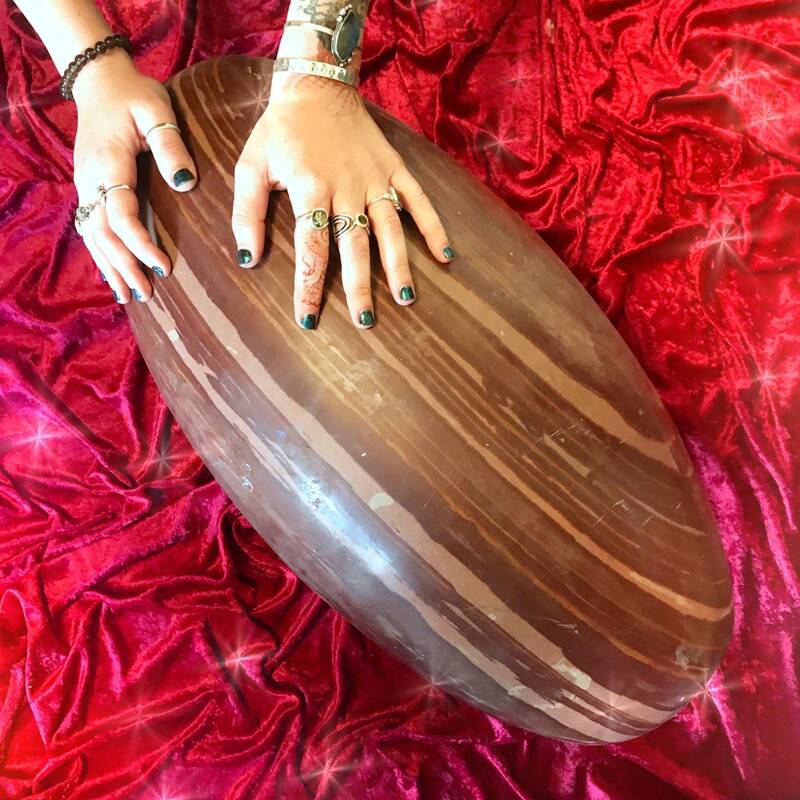 This listing is for one (1) huge mega shiva lingam specimen (about 24″ in size). Yours will arrive lovingly parceled along with a single leaf of white sage and a card describing the properties of the stone. ***Please note when ordering, this item weighs 185 pounds. 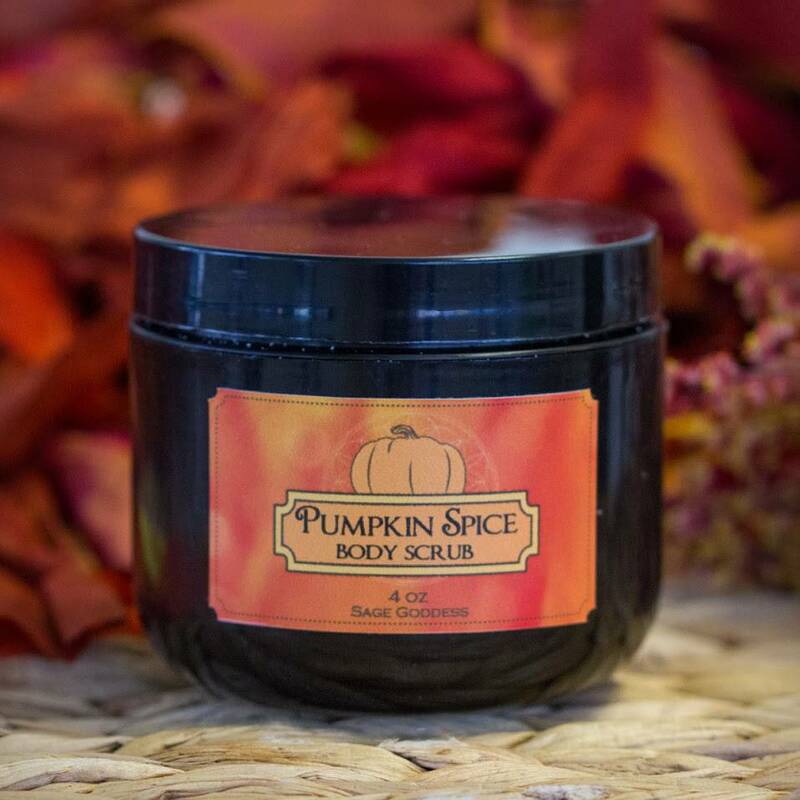 Because of this, we’ve included shipping in the cost of the product to give you the best value.